Swiss-patented microfiltration provides an excellent taste and a beautifully clear brew. Reducing the brewing time by 90%, Basilur Tea capsules are Nespresso machine compatible. So now you are able to enjoy a fresh cup of tea with a touch of a button, convenient and hassle-free. 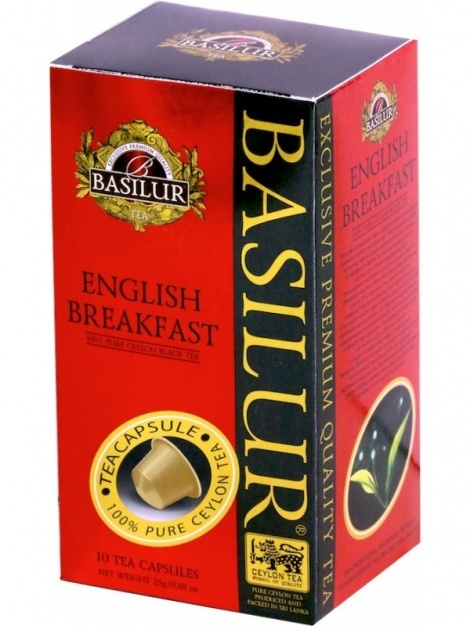 A full-bodied, robust and rich black tea blended to go well with milk and sugar, in a style traditionally associated with a hearty full English breakfast.